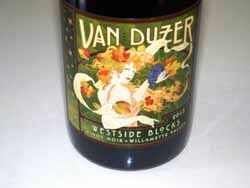 After the fruit-forward, extracted and bold 2012 Pinot Noirs, the 2013 wines are a return to the classic Willamette Valley style of lower alcohol, bright acidity, elegance and nuance. Some may find some of the wines a bit demure, even austere at present, but they should put on weight with more bottle age. 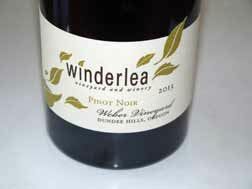 I am afraid that a number of the 2013 Pinot Noirs from the Willamette Valley won’t impress the California palate. 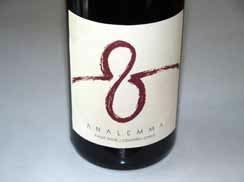 Analemma Wines, founded in 2010 by winemakers Steven Thompson and Kris Fade, is one of the few Columbia Gorge wineries growing and producing wines exclusively from within this region. The winery’s beginnings trace back to an opportunity to farm the historic Atavus Vineyard (previously Dragonfly Vineyard) on the Washington side of the Columbia River. This experimental site was a vision of Washington State University’s Dr. Walter Clore. Planted in 1968 under the guidance of Walter J. Clore, it present conditions ideal for Pinot Noir and Gewürztraminer. Organically and biodynamically farmed at 1,700 feet elevation, this vineyard is positioned on a southern slope with a sweeping view of the Columbia River and Mt. Hood. Analemma Wines farms two distinct alpine environments. The Oak Ridge Vineyard sits at 1,400 feet in the foothills of Mount Adams where Pommard and Dijon 115 are self-rooted and dry farmed in volcanic, ashy loam soils. Six and a half miles south, the Atavus Vineyard contains nearly 50-year-old, self-rooted Mariafeld vines. A sparkling wine, Blanc de Noir, is also produced from the Atavus Vineyard. The 2010 Analemma Atavus Vineyard Blanc de Noir sparkling wine was a featured wine at the 2015 International Pinot Noir Celebration. The family owners of this property have farmed 234 acres on Savannah Ridge in the Yamhill-Crarlton AVA since 1906. 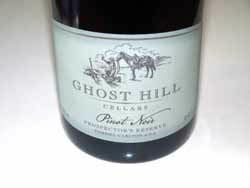 In 1999, 15 acres of Pinot Noir was planted and the first wine under the Ghost Hill Cellars label was released from the 2006 vintage. Half of the estate grapes are sold to local wineries and half is used in the Ghost Hill Cellars wines. The winemaker for several years. Rebecca Pittock-Shouldis, has been replaced in 2015 by Eric Hamacher, one of Oregon’s most respected winemakers. The tasting room is open weekends. Visit www.ghosthillcellars.com. 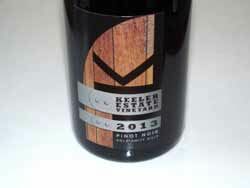 Keeler Estate Vineyard & Winery began as an overgrown 200-acre farm east of the town of Amity, Oregon, acquired by Craig and Gabriele Keeler in 1989. Vineyards were planted methodically and farmed biodynamically. Today, the vineyard is Demeter® Biodynamic certified. The planted 30 acres include Dijon clones 667, 777, 115 and 943, Pommard 4 and 5, and Wädenswil. The winemaker is Darcy Pendergrass. Visit www.keelerestatevineyard.com. With Burgundy native winemaker Florent-Pierre “Flo” Merlier now well established at this winery in Dallas, Oregon, the wines have reached new heights and the winery now belongs in the upper echelon of Willamette Valley wineries. The estate vineyards total 82 acres including multiple clones of Pinot Noir. A majority of the wines are estate grown, but some singular bottlings are from grapes sourced from other regions in the Willamette Valley. The winery’s Pinot Noir Rosé and Pinot Gris are among Oregon’s finest. The tasting room is a little out of the way and not along the main Willamette Valley winery trail, but well worth an extra effort to visit. The website is www.vanduzer.com. Winderlea has a storied history in the Dundee Hills. 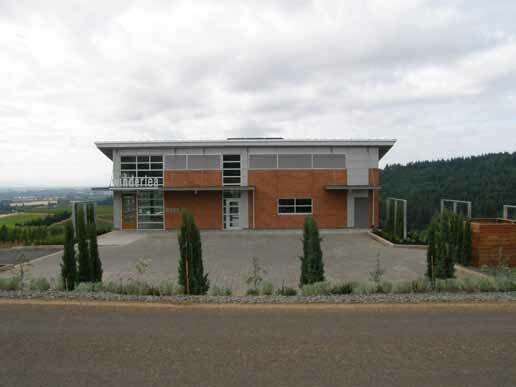 It was formerly known as the Dundee Hills Vineyard when it was first planted in 1974 and was later rechristened Goldschmidt Vineyard after the former Oregon governor who bought the property in 1998. In 2006, Bill Sweat and Donna Morris, who had been highly successful in the financial services industry, left the East Coast for Oregon and the following year bought the Goldschmidt Vineyard, renaming it Winderlea Vineyard. The name is derived from a Vermont property the couple owned and is a German word loosely translated as “valley protected from the wind. The couple brought on veteran winemaker, Robert Brittan to direct the Pinot Noir program. A tasting room, positioned to take advantage of the panoramic views of the Dundee Hills offers a relaxing venue for wine appreciation and has become an iconic landmark of the Dundee Hills. 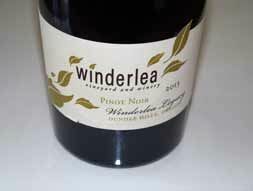 The inaugural releases of Winderlea Pinot Noir were from the 2006 vintage. Visit the website at www.winderlea.com.